Some would argue that it occurred long before the night of Tuesday, Feb. 5, 2018. Some might even say that they can’t point to a specific milestone or event that signaled the demise of optimism and sane, diplomatic national political discourse. 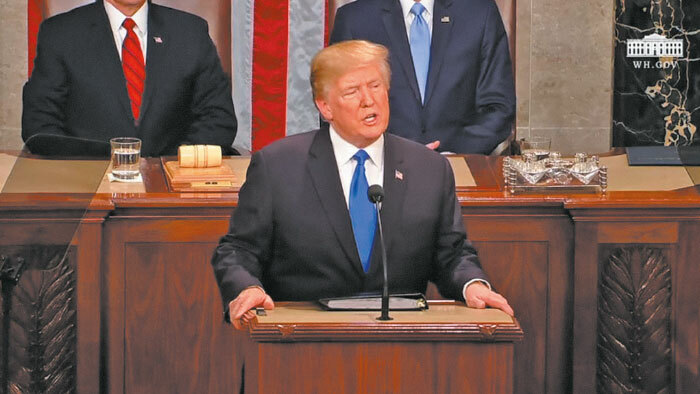 On Tuesday, Queens native and President of the United States, Donald Trump, delivered his second State of the Union address to the nation—and ignited a powder keg of partisanship that this country has not endured. As expected, Trump was all over the place. He initially tried to strike a bipartisan, patriotic, even kumbaya tone—before taking a sharp left into the negative and bizarre. Predictably, Democrats pounced—on that checks-and-balances gem and more. “Sorry, sir. But Article 1 of the Constitution is the legislative branch. And it has the responsibility to exercise oversight of the other branches of government. We would be delinquent in our duties if we failed to provide the necessary oversight,” House Speaker Nancy Pelosi gleefully tweeted. Who knows — maybe some day in the near future we’ll look back on this fraught national moment and laugh…if only to stave off the tears.